There is dish development activity going on in many countries including America, Australia, Germany, Spain, India and China. 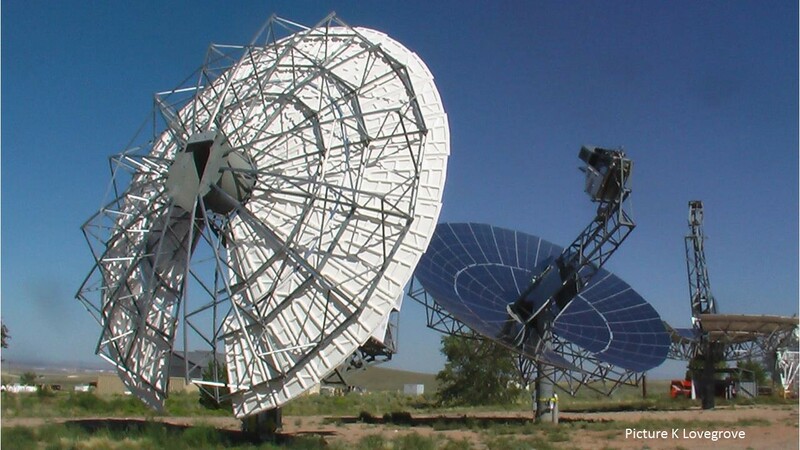 They were working with concentrating PV receivers on a 130m2 dish unit. Their largest initiative was a pilot system of 40 Dishes near Mildura, Australia. The fate of the dishes and the IP behind them is currently unknown to the author. Stirling Energy Systems were the highest profile dish company in the world for many years. Unfortunately they did not survive the stresses of changing financial conditions and cost competition from PV. 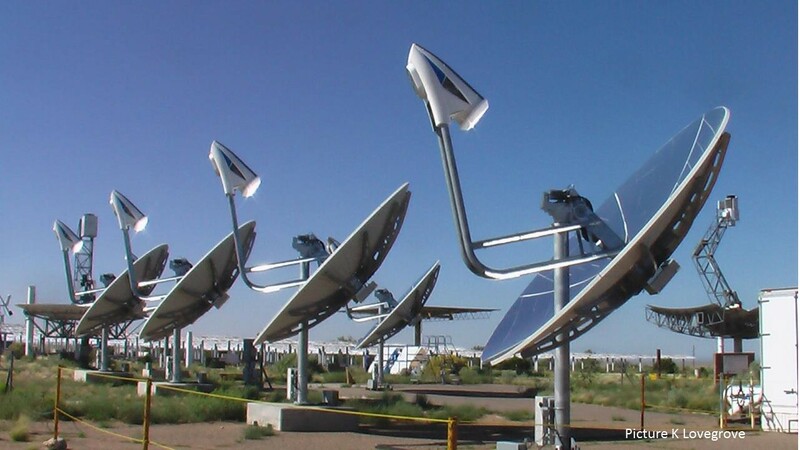 Prior to their failure, they had constructed a 60dish 1.5MWe demo in Pheonix Arizona. 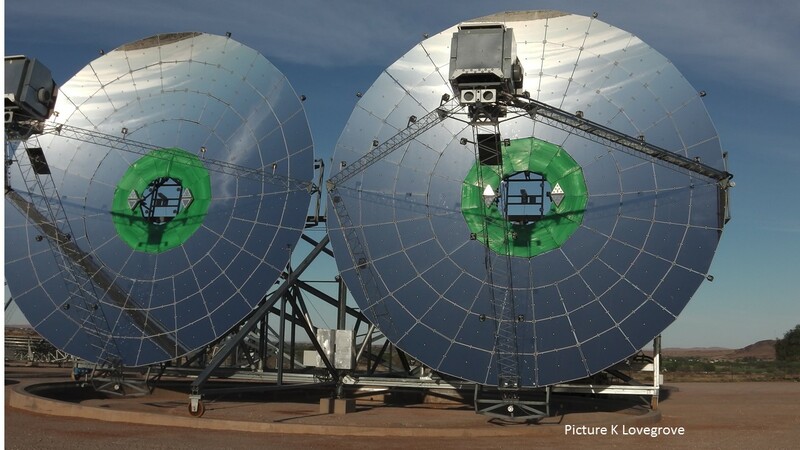 Ripasso Energy are a Swedish company that has stepping into the ring with a dish Stirling system. They are using an engine licenced from Kockums that shares its heritage with the engine previously used by SES. 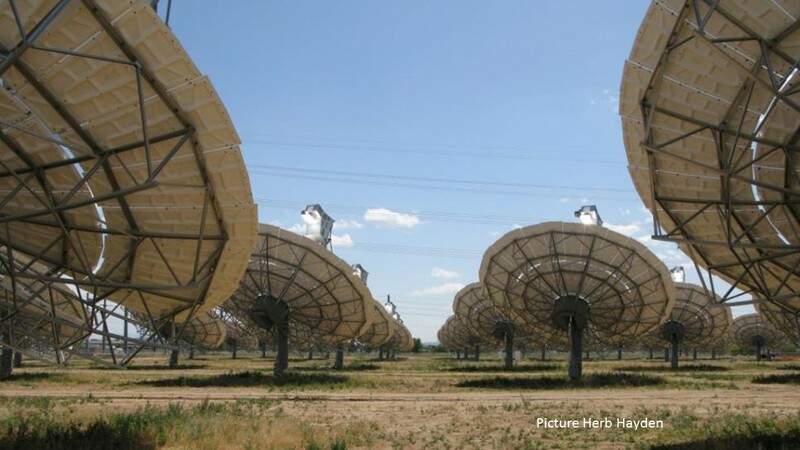 Their dish units are 100m2 in aperture area and they use a novel arrangement of two dish engine systems on a shared azimuth tracking baseframe. 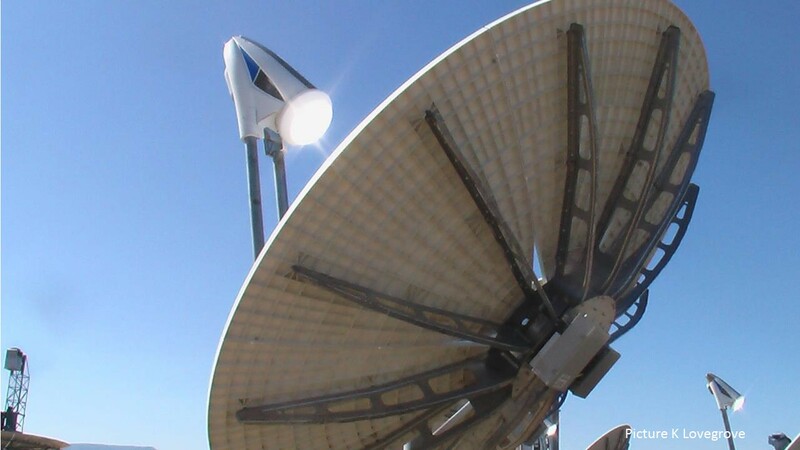 They have some prototype units in operation at a test site in Upington South Africa. SPB have been a major influence in design engineering for the CSP industry for many years. They have engineered multiple dish designs. 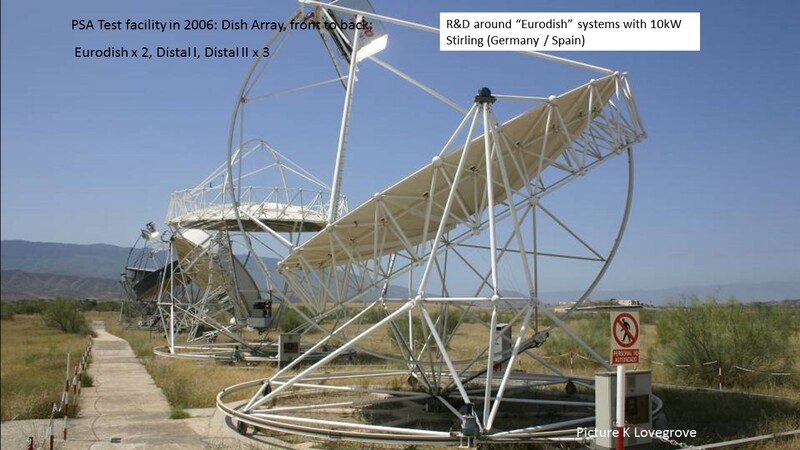 Currently the 8.5m diameter “Eurodish” is most directly identified with them. They have also designed the dish concentrators for Heliofocus and Infinia (see below). The Israel based company Heliofocus have produced a square fresnel like dish which they claim also has an aperture area of 500m2 – maybe this is the latest world’s biggest dish? ZED Solar in Pakistan have what appears to be a high quality unit. There website does not appear to provide the technical specifications however. Infinia were offering a small 4.7m diameter dish with a 3.2kWe free piston Stirling unit, seeking an advantage in modularity and mass production. Ownership of the company has apparently changed hands, again current status is unknown.